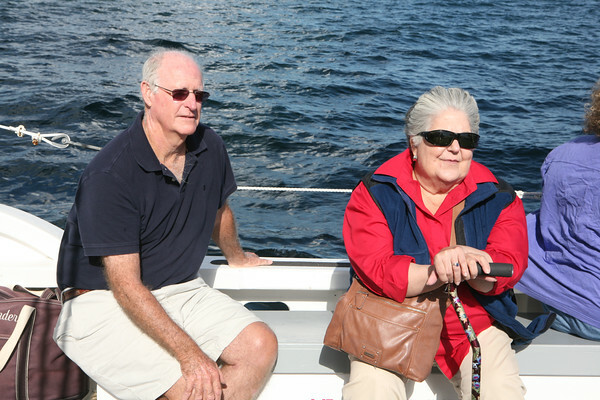 Bud and Barb Elliott from Sarasota, FL enjoy the sail. They lived in Manchester-by-the-Sea and Wenham for many years before moving to Florida. The National Historic Landmark Schooner Adventure is commissioned and sailing once again from Gloucester’s harbor.